COOPERSTOWN – William Wesley “Wes” Ciampo, 92, formerly of Ridgewood, NJ, passed away Thursday night, January 24, 2019, at Cooperstown Center for Rehabilitation and Nursing. He was born February 8, 1926, in an ambulance en route to a hospital in Hackensack, NJ. After Wes was born, the ambulance turned around and returned to the family home in Lodi, NJ. His father, Salvatore Ciampo, was a native of Rapone, Italy, and his mother, Catherine Terhune Ciampo, was born in New Barbadoes Township (Hackensack). 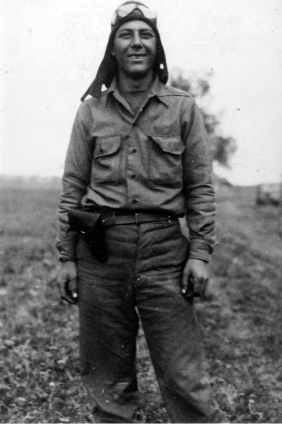 On May 4, 1944, Wes was inducted into active service in the United States Army. He proudly served his country during World War II with Troop A of the 18th Cavalry Reconnaissance Squadron, mechanized. His specialty was serving as a radio operator in the European Theater of Operations and he saw action in the Ardennes, Central Europe and Rhineland campaigns. He was with Patton’s Third Army that relieved Allied forces at the Battle of the Bulge where Wes’ brother, Everett was fighting and was badly wounded. Upon receiving his Honorable Discharge from the military, Wes returned home and eventually received a two-year degree from Fairleigh Dickison Junior College. For many years, Wes worked as a real estate title examiner, and was employed by C&C Abstract Company and Northeastern Title Services in Hackensack, NJ. He made his home in Ridgewood, NJ until moving north to live with his son and family in Fly Creek. Wes is survived by his son and daughter-in-law, Wesley and Evette Ciampo of Fly Creek Valley; three grandchildren, Bryar-Lyn Ciampo (James Dix) of Schenevus, Jeremy T. Ciampo (Kirsten) of Shoreham, and Corey M. Ciampo (Amanda) of Ridgewood, NJ; five great grandchildren, Dustin Ciampo and Keaton Winsor, and Tatym, Lakin and Brighton Ciampo; and two sisters, Mae Jackson of Passa Grille, St. Petersburg Beach, FL and Earla DeSanto of St. Petersburg, FL. He was predeceased by his wife of 57 years, Edith Hladik Ciampo, who died December 30, 2006. Services will be private, and he will be laid to rest in Cedar Lawn Cemetery in Paterson, NJ. As an alternative to flowers, the Ciampo family respectfully requests that memorial donation be made to Catskill Area Hospice & Palliative Care, 297 River Street Service Road, Oneonta, NY 13820.